Product prices and availability are accurate as of 2019-04-08 03:53:47 EDT and are subject to change. Any price and availability information displayed on http://www.amazon.com/ at the time of purchase will apply to the purchase of this product. 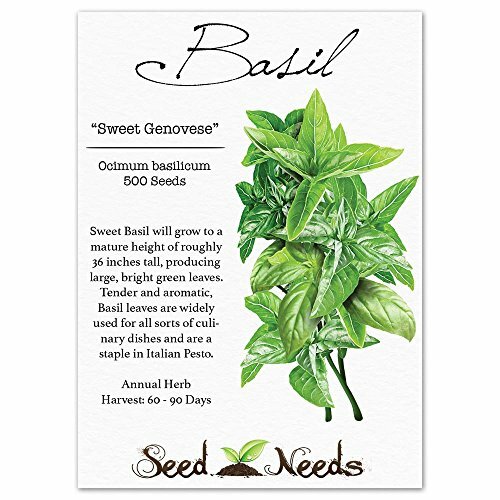 Grow Sweet Basil from freshly harvested Ocimum basilicum herb seeds. 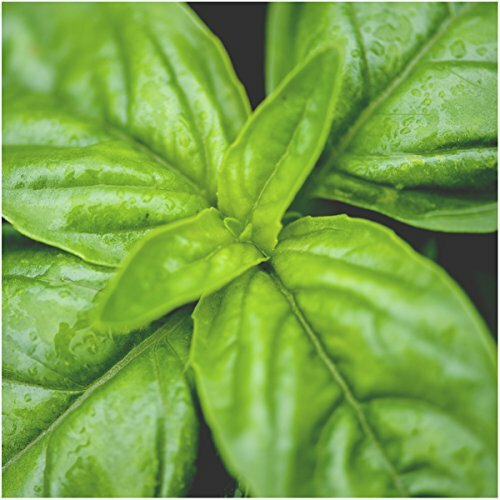 Sweet Basil produces large, tender green leaves that are both fragrant, as well as tasty. Often used in Italian pestos, this herb will grow to a mature height of roughly 36 inches tall, producing 3 inch leaves. Sweet Basil is categorized as an annual herb plant, meaning it will grow quickly and later wilt with the first killing frost. Sweet Basil takes anywhere between 60 to 90 days for harvesting. It not only makes a great additive to pestos, but salads and tomato sauces as well. A great herb for use indoors or outdoors, Sweet Basil is popularly grown in pots & containers as well. 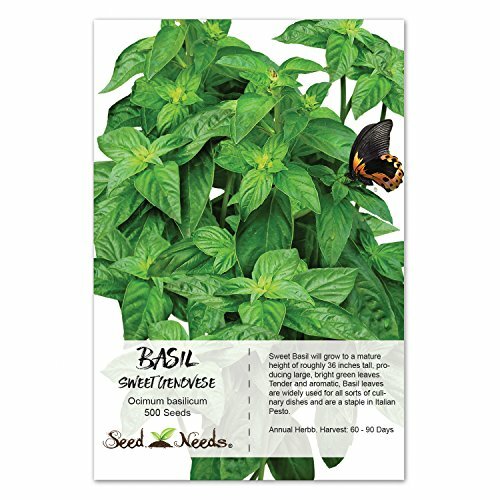 Quality Sweet Basil seeds packaged by Seed Needs. Intended for the current and the following growing season. Packets are 3.25" wide by 4.50" tall and come with a full colored illustration on the front side, as well as detailed sowing instructions on the reverse. 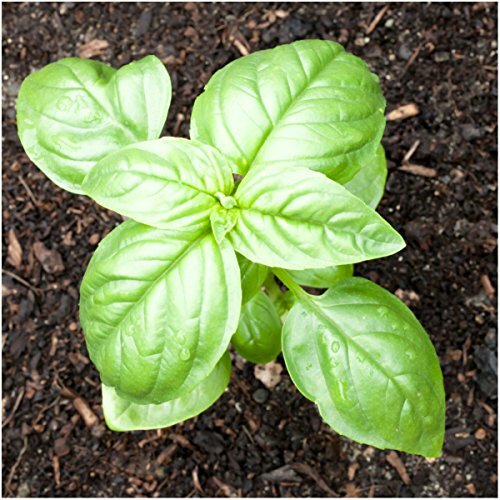 Sweet Basil produces large, tender green leaves that are both fragrant, as well as tasty. 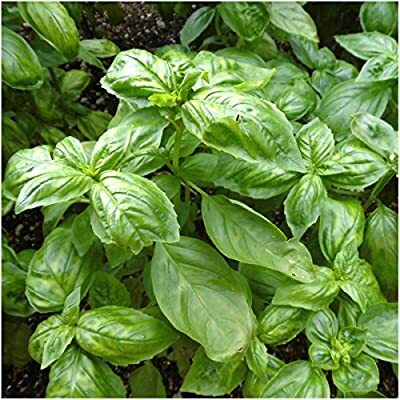 Often used in Italian pestos, this herb will grow to a mature height of roughly 36 inches tall, producing 3 inch leaves. Sweet Basil is categorized as an annual herb plant, meaning it will grow quickly and later wilt with the first killing frost. 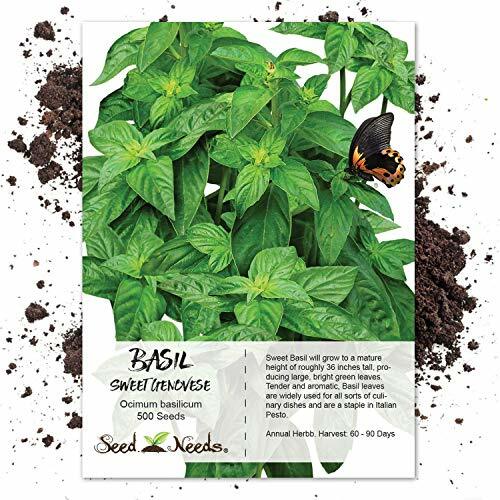 All Sweet Basil seeds sold by Seed Needs are Non-GMO based seed products and are intended for the current & the following growing season. All seeds are produced from open pollinated plants, stored in a temperature controlled facility and constantly moved out due to popularity.